Have you ever felt like you’ve missed a window of opportunity? Well, if you were interested in taking advantage of Hillcrest by Mosaic‘s promotion and thought you missed your chance, you’re in luck! Hillcrest has extended their first time buyer offer until July 8th. The extension comes on the heels of the new Canadian mortgage rules which will come into effect July 9th. With its stunning bright blue and natural shakes, we love this project’s standout design. Located in the well established area of South Clayton, Hillcrest is close to plenty of walkable conveniences. And now, you can both take advantage of Hillcrest’s great promotion and qualify under the old mortgage rules! 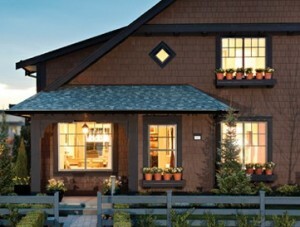 The rowhome promotion can save first time buyers $15,000 on their new home. Sounds pretty sweet to us! There is also the Delicious Duplex Deal which offers $7,700 in upgrade items on the next three master-on-the-main duplexes purchased. While the latter promotion isn’t time sensitive, you’ll still want to act fast to make sure you’re one of the first three people to take advantage of the promotion.